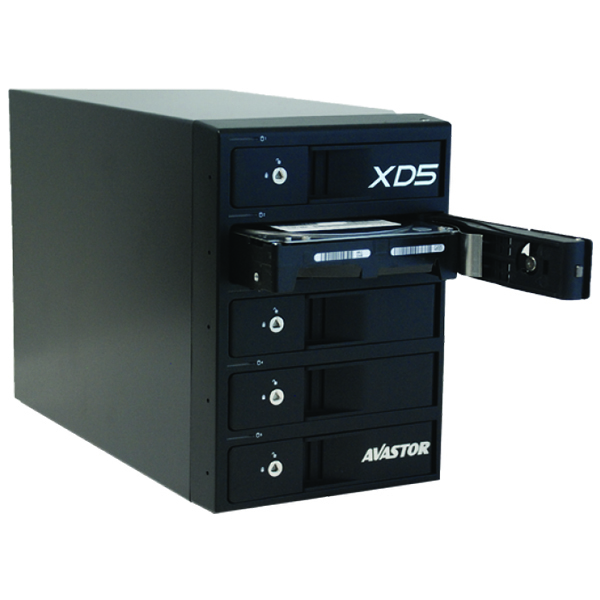 The Avastor XD5 Desktop RAID series is designed for the most demanding storage applications. 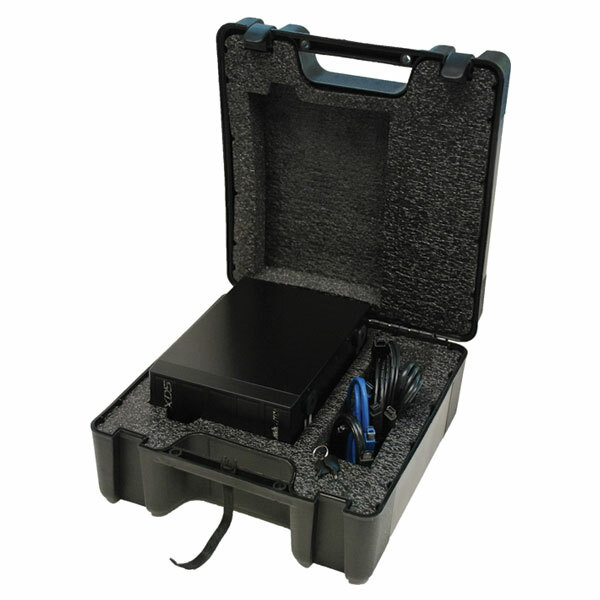 The XD5 trayless and tool-free design allows fast and easy installation of all five hard drives. At its heart is a user configurable hardware RAID engine that supports multi RAID functions to maximize speed and protection of your data. 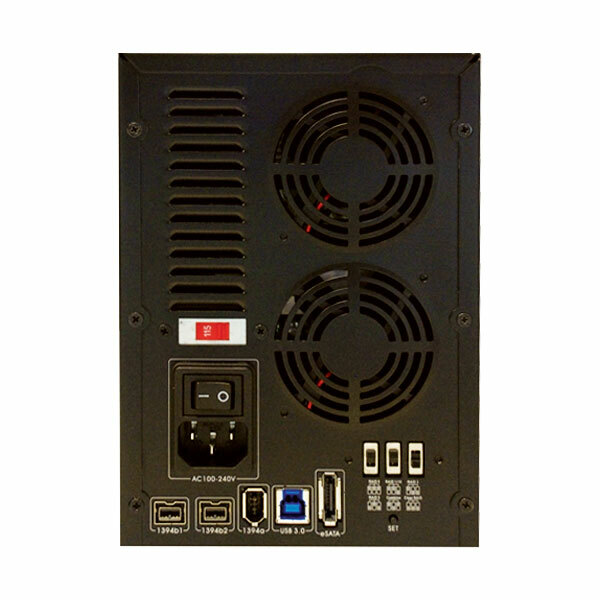 The USB 3.0, eSATA, FireWire 400 and 800 interfaces, provide you with unsurpassed data transfer performance. 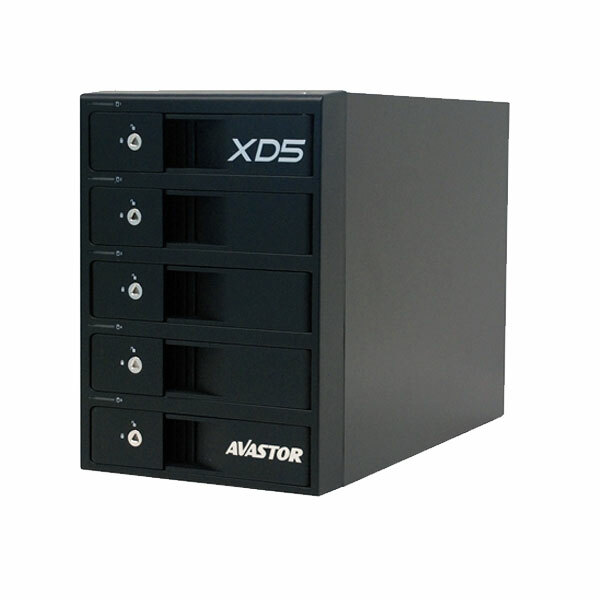 The XD5 is your best choice for a high capacity, high speed data storage solution.